Halali Camp and the word Halali refers to the sound of a bugle or horn announcing the end of a day’s hunting. The German soldiers posted here enjoyed the hunting. This era was until Governor Von Lindequist wisely declared the Etosha a game park and reserve. Halali Camp is strategically located halfway between Okaukuejo and Namutoni. Halali is at the base of a dolomite hill, amongst shady Mopane trees. The Halali camp is easily accessible either through Anderson or Von Lindequist entrance gates. There is a floodlit waterhole. The elevated seating arrangements allow for excellent viewing of the watering hole at Halali. 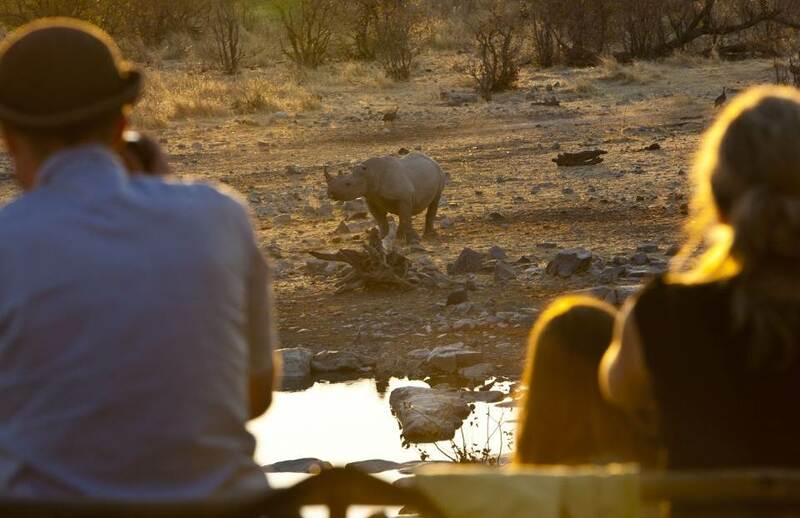 The waterhole provides exceptional wildlife viewing throughout the day and into the night. 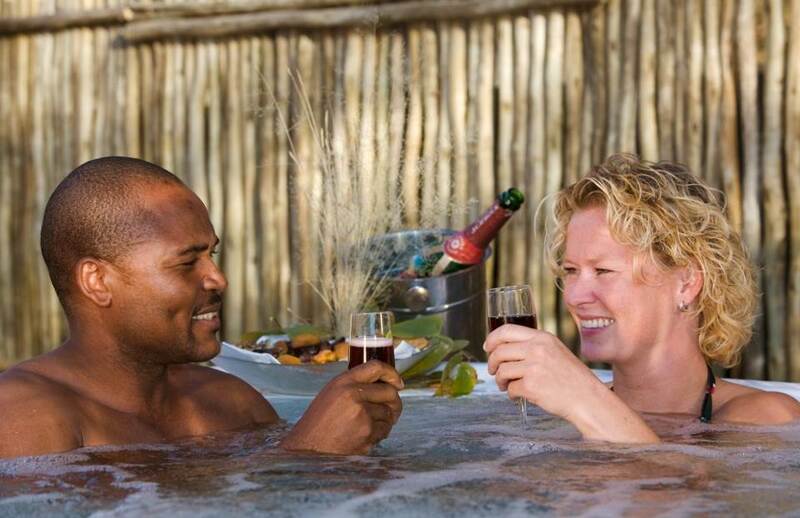 Halali Camp is one of the favourite watering holes inside Etosha National Park. The seating area is High and overlooks all of the waterholes. 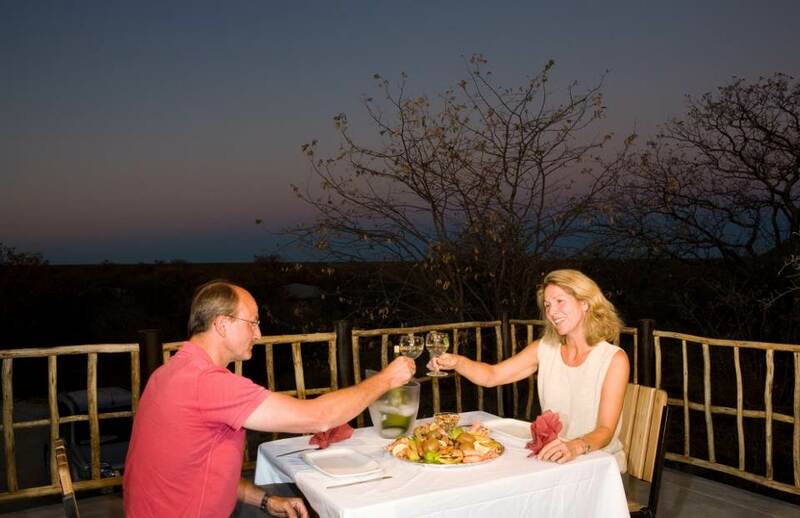 It is an excellent location for sunset views and photography over the waterhole. Halali waterhole has excellent animal reflections in the waterhole. 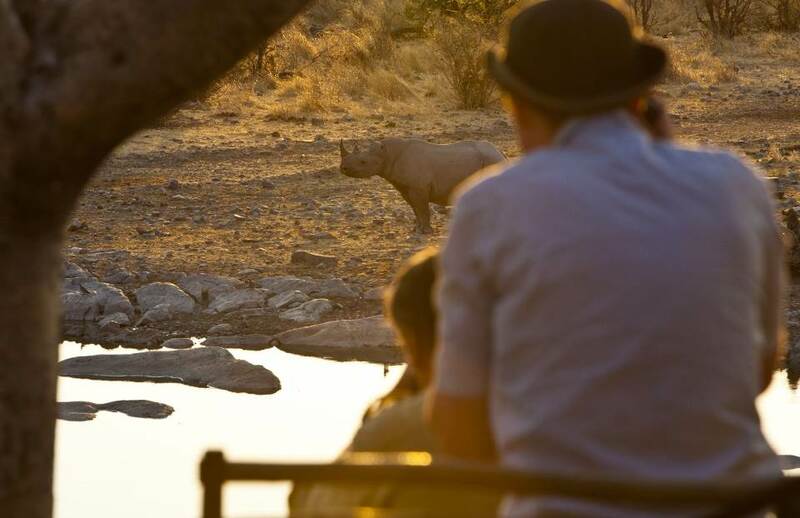 It is the regular visiting point for Elephants, Black Rhino, Spotted Hyena, and lions. There is a resident leopard that drinks daily at the Moringa waterhole of Halali. 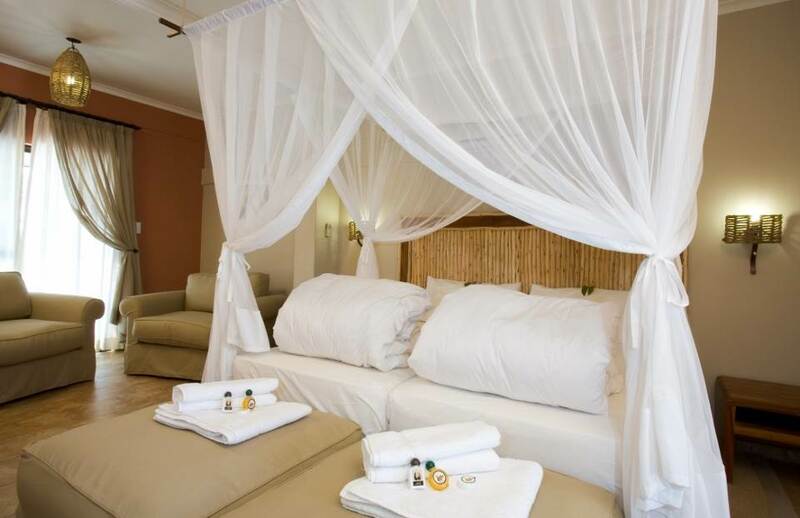 Other facilities include a restaurant, bar, shop, swimming pool, kiosk and camping facilities. 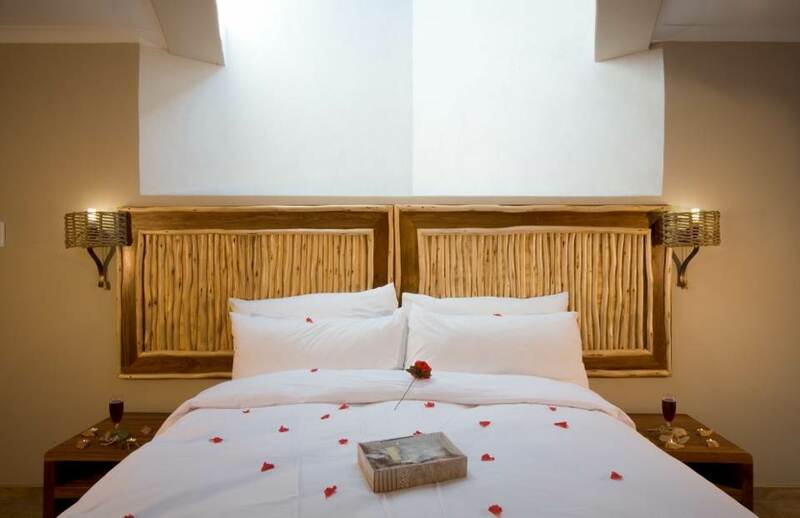 5 Honeymoon chalets: The comfortably furnished with a queen-sized bed. A private garden area and Jacuzzi. Equipped with a fridge and tea-station. 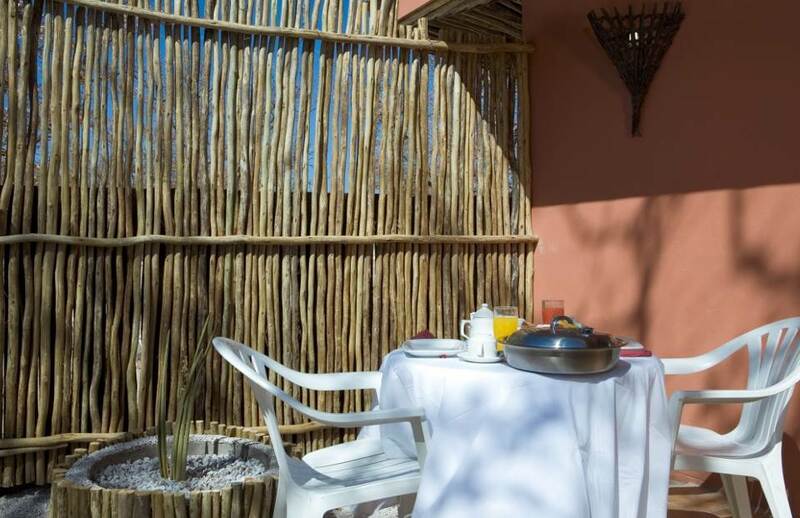 2 Family chalets: The secluded self-catering units with two bedrooms each with two ¾ beds, one bathroom, and a kitchenette, lounge, and braai area. The kitchen has a small oven, a limited selection of crockery and cutlery, fridge, kettle and tea/coffee station. 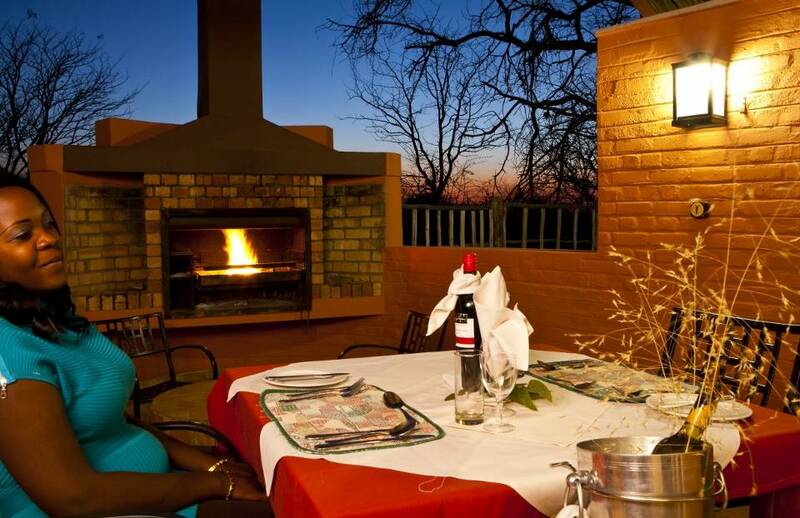 Outside is a shaded area with a braai and table and chairs. 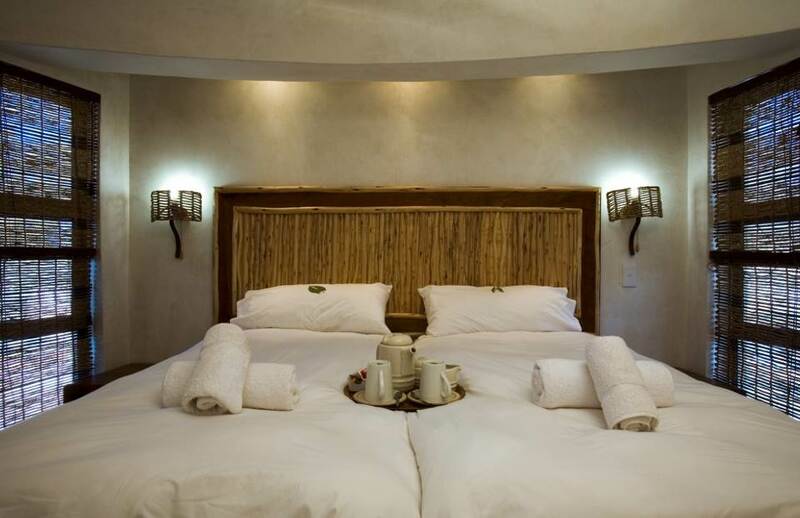 10 Bush chalet(4 adults): The comfortable cottage with two bedrooms each with two ¾ beds, one bathroom, and lounge area. 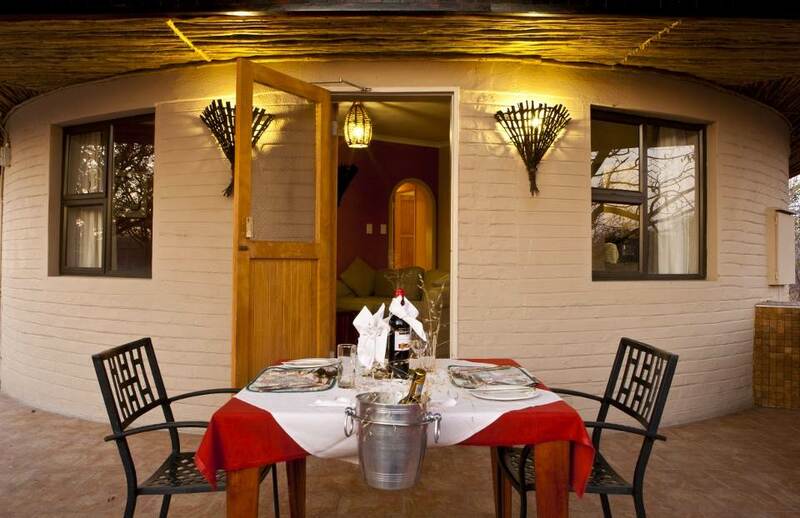 Equipped with a braai area (barbeque), fridge & tea station with an assortment of crockery and cutlery. The outside area has a table and chairs. 10 x Bush chalet(2 adults): This is a comfortable chalet with one bedroom, bathroom, and living area. There is a sliding door to an outside area. It has a fridge and a tea station. There is no braai area at these chalets. 40 Double rooms: 2 beds with en-suite bathroom, refrigerator, and a tea station. Camping: There is a large number of campsites are available. The camps have electricity, water tap and braai area. The Waterhole surrounding Halali Camp. Batia: An excellent waterhole for viewing plains animals. Blue wildebeest, springbok, and elephant are common at Halali. Goas: Lots of animals visit this waterhole. Black-faced impala, blue wildebeest, red hartebeest, elephant, lion, zebra and birds of prey. Helio: Small waterhole, but you can often find an elephant and small game here. Nuamses: Close to the edge of the pan this waterhole attracts plains animals and elephant. Rietfontein: Very popular and large waterhole frequented by Springbok, elephant, lion along with nearly all the species found in the park, including leopard. It’s a little far from the road for photographers, but a must visit. Salvadora: Popular waterhole with plains animals – springbok, gemsbok. Sueda: Popular waterhole with plains animals – springbok, gemsbok. Namibia Wildlife Resorts (NWR) would like to inform you that with immediate effect plastic bags are no longer allowed within all Namibia National Parks. Therefore, any plastic bags that might be in your possessions will be removed by the Ministry of Environment and Tourism personnel when you enter any of the National Parks.